FREE 90 DAY COMFORT EXCHANGE !!! 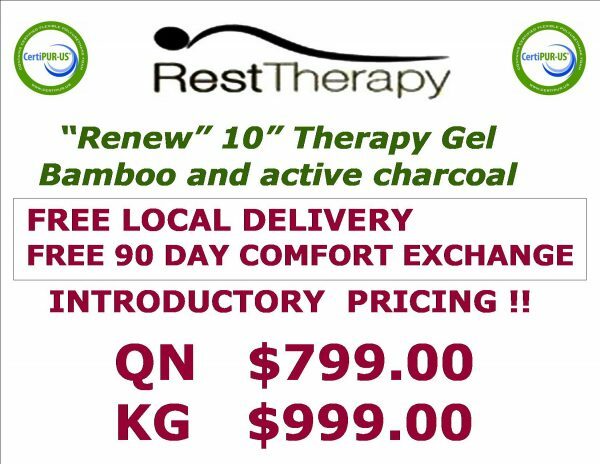 Sleep in comfort and tranquility with your new Queen 10 Inch Renew Bamboo Gel Memory Foam Mattress, and wake up relaxed and refreshed. Memory foam technology benefits the sleeper by contouring to the body’s shape, providing ultimate comfort while supporting natural alignment. 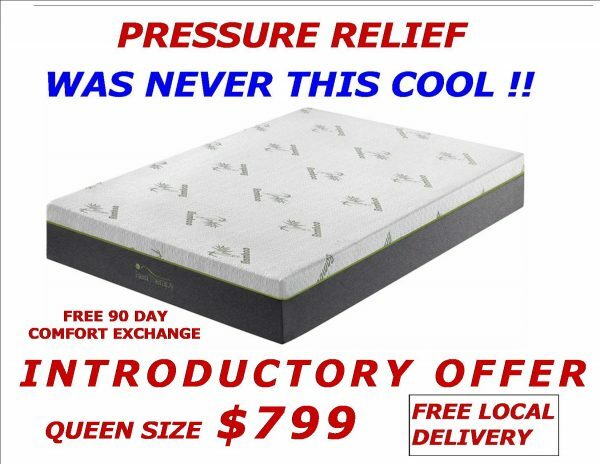 This mattress features a 7.5 inch foam base layer, a 2 inch visco elastic memory foam support layer, and a 0.5 inch cool gel memory foam comfort layer, providing medium to soft support ideal for side or back sleepers. Free from harmful chemicals, this environmentally friendly design features activated charcoal and plant-based oils infused into the foam layers to release heat, absorb pollution from the surrounding air and eliminate off-gassing and odors. Activated charcoal also works to gather negative ions to promote better blood circulation while you sleep. The memory foam layers are enclosed in a removable eco-friendly bamboo cover, soft and luxurious to the touch, with natural moisture management to keep you cool and dry on hot summer nights. In addition, bamboo fibers contain anti-bacterial properties, making this mattress ideal for reducing allergens and for sensitive skin types. 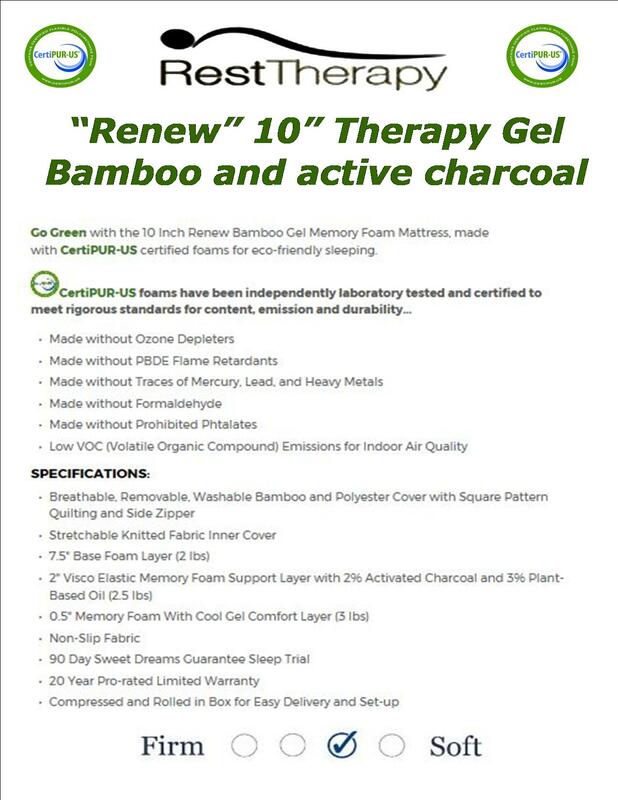 Go Green with the 10 Inch Renew Bamboo Gel Memory Foam Mattress, made with CertiPUR-US certified foams for eco-friendly sleeping.